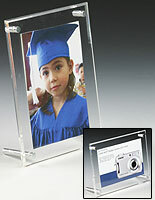 This acrylic photo frame holds an 8-1/2" x 11" image! 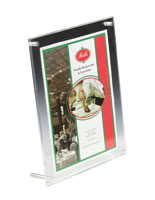 This Acrylic Photo Frame provides a neat and sleek way to display your favorite photos or merchandising graphics. 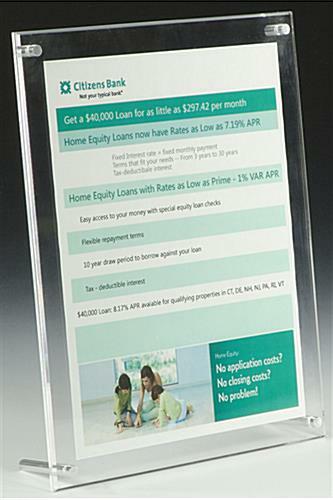 This clear sign holder, acrylic photo frame, has a contemporary appearance with polished edges and ensures focus on the pictures. 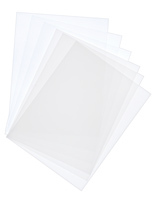 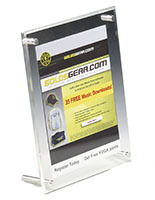 This acrylic photo frame, also known as a countertop sign holder, features two 1/8" thick clear acrylic panels. 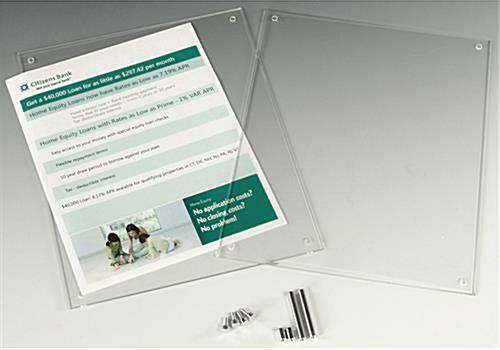 Four nickel plated binding screws hold these two acrylic panels together to trap the graphic or photo tightly in the center position. 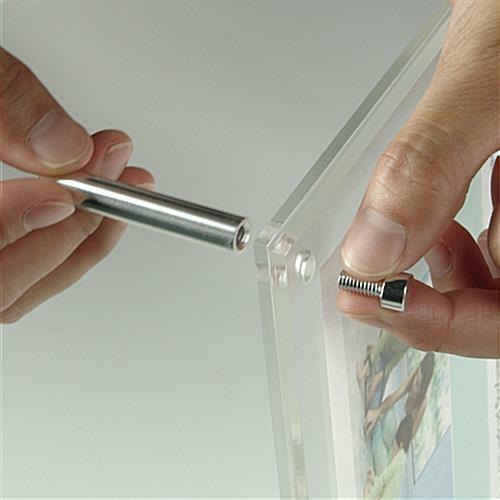 This acrylic photo frame can be used in either a portrait or landscape orientation, simply by amending the position of the supporting screws.